When we say 'new', we really mean it. The new Tablo has been completely redesigned and rebuilt from the ground up. We've spent thousands of hours crafting a product that (we hope) will have a big impact on the publishing industry. And today, at last, we're sharing it. 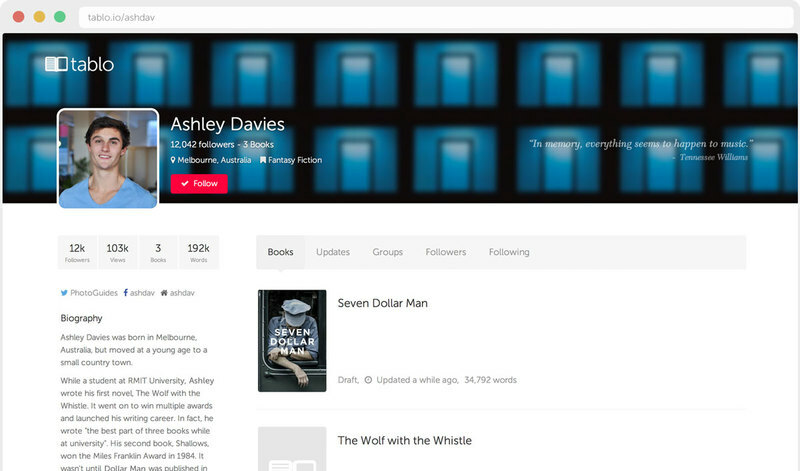 There are some exciting new changes - a beautiful new writing application, profiles, groups and an underlying social network that will help readers discover your books. Our quest has been to redesign the old and outdated publishing model. For hundreds of years the publishing model has been the same - authors will write solitarily for years, submit their manuscripts and see their work rejected. 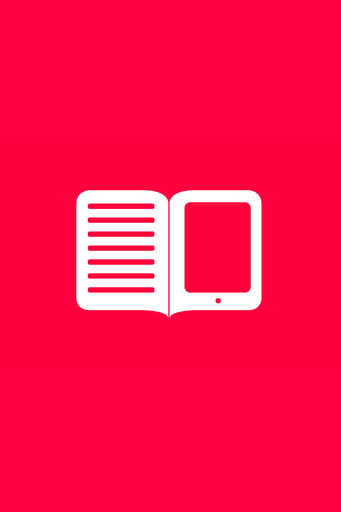 With the new Tablo, authors can share their books progressively and connect with readers while they write. This is an integral concept. 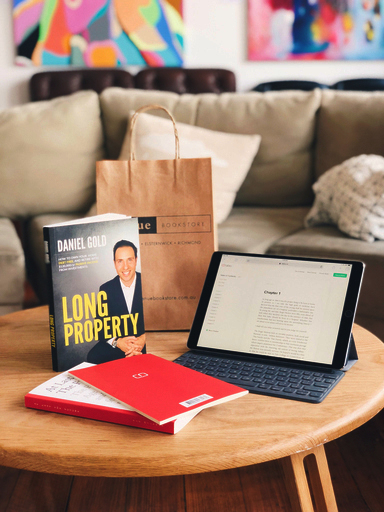 By building a service that connects authors with readers, we can help you write better books and finish with a greater following. The next bestseller can now be spotted before it's even been published. So, where shall we begin? Profiles, of course! With the new Tablo, every author has a voice. Your profile is the place to share your upcoming books, your biography and your lovely smile. New readers can discover you; friends and fans can follow you to stay up to date with your work. When you follow an author you add them to your ever-developing bookshelf. When the author shares a new chapter, you can be the first to read it. Authors can ask questions, seek feedback and engage in discussions with their readers. How do authors and readers find each other? Introducing Groups. Groups are mini-communities where you can share and discover new books. Groups are created and run by Tablo users, and they can be about anything - genres, writing festivals, niche interests, you name it. 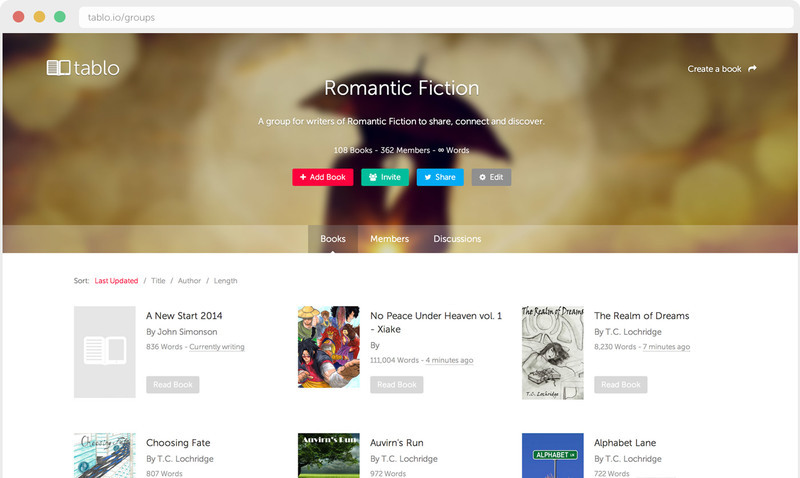 You can join a Romantic Fiction Group for your new novel and be discovered by fans of the genre. You can join a Group for your favourite writing festival to connect with likeminded authors. Browse members, engage in Group discussions and plenty more - we're excited to see how you use this feature. At the core of Tablo is our gorgeous Writing Room. Today, it's getting a major update. The real magic of the new Writing Room is in the background. You'll never get to see it, but it will make your creation experience faster, easier and a lot more fun. Swap chapters instantly, spin up a preview with the click of a finger and write with confidence knowing that every keystroke is saved in the cloud. The changes are subtle, but they make a big difference. We're also releasing an improved version of our Word Document importer. 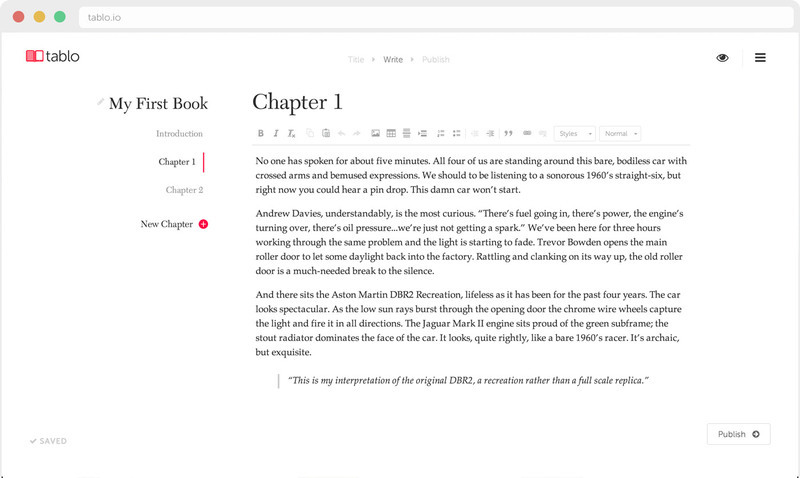 Just drag and drop your document into Tablo and you'll have a publish-ready book in seconds. So that's the new Tablo. The team has been working super hard on this and we're excited to finally be sharing it with you. Some little pieces from the old Tablo are still being implemented so, until our next update, Tablo is free for all users. We're on a long-term quest here to democratise the publishing model, and this launch is our first step. We'd love to hear your thoughts, your ideas and your feedback on where we're heading. Have fun!